Carrying out bell tests on fire alarm systems on a weekly basis is in accordance with British Standard (BS) guidance but it is something that can often be overlooked by people who are ignorant of the frequency required or simply unaware of the guidance. Carrying out weekly tests has many benefits. 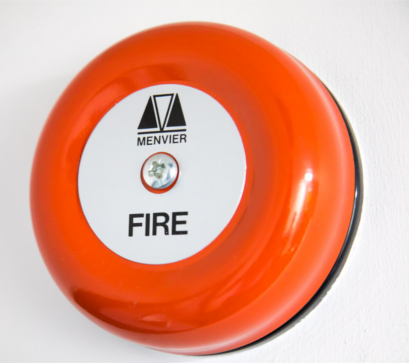 As well as ensuring that the fire alarm system is in correct working order, it also helps to familiarise occupants of the building with fire alarm signals – something which could prove vital if a real emergency was to occur. The person responsible for bell tests should look to carry them out at around the same time every week and it should also take into account the possibility that a real fire could coincidentally coincide with the checks. Consequently, it is vital that the standard bell test does not exceed one minute. Strategically placed at the geographical centre of England we provide security, cleaning and facilities management services across the country. Full House at Charity Bingo Night!